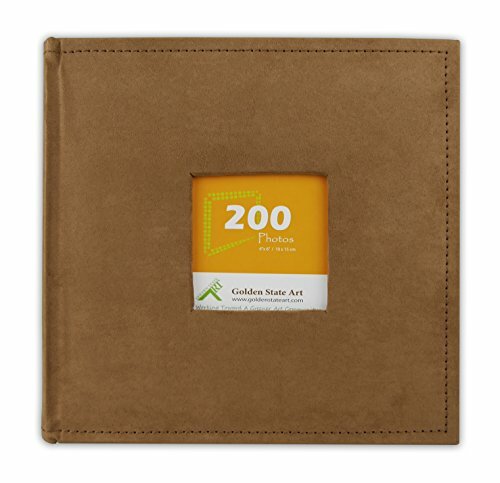 This beautiful suede hard covered photo album is perfect for your memorable photos and sharing amongst families and friends. It holds 200 4x6 inch pictures, each page displays 2 pictures with a memo writing area. The front cover features a 3x3 inch window to showcase your favorite photo. Photos are stored in clear, photo safe, acid, and PVC-free pockets. Make your memories last in this stunning album.